Hakeem Olajuwon Game 4 of the 1994 NBA Finals Action Museum Quality Fine Art Print sold by Great Art Now, size 8x10 inches. 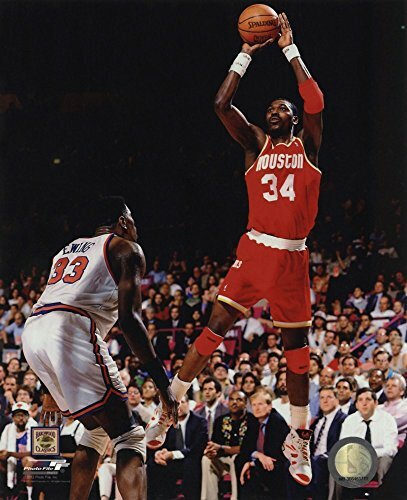 This print is popular in our Sports Posters, Basketball Posters, Cultural Art, African American Art, Photography, Color Photography, Basketball Teams Posters, Houston Rockets Posters, Basketball Player Posters, African American Sports Art, Black Art, Sports Photography, Clearance Art, and Clearance Posters categories. Great Art Now was started in 2002 by a group of friends with an interest in both art and technology. That interest and a lot of hard work has led us to become one of the largest online retailers in the country. We use our buying power to create great art that can be sold at great prices and is accessible to everyone. All of our artwork is stored in our New Jersey warehouse. Your satisfaction is 100% guaranteed. If you have any questions about this product by Great Art Now, contact us by completing and submitting the form below. If you are looking for a specif part number, please include it with your message.